Pigeon and I were super busy this weekend. We agreed we're glad Momma's back at work so we can get some REST! Pigeon here! Thank you everyone for the power of the paw this weekend. Momma is just overreacting as usual. Yes, I'm not feeling so great lately, and yes, I had a kind of skeery little episode on Saturday night that made her haul me to the vet yesterday. They do...things to you there! The vet looked at my bloods and pees and that kind of thing, and she said that yes, I'm an elderly kitty, and yes, my kidney disease and liver disease have gotten pretty bad. And no, there's nothing else they can do to make things better. Momma got really weepy and asked the vet to let her think about things on her own for a little bit. Well, when she did, I curled up in Momma's arms while she thought and debated and cried. Finally she was smart enough to look at me and ask me what I thought. And I told her I am NOT ready for rainbows yet! I know it won't be much longer, and it will be nice to be young again and play with my angel sissy Jessie again. But I still have a little more work to do whipping Matilda into shape, and there are still sunbeams I haven't napped in. So for now, I'm back home. The vet said that whenever Momma decides it's time, it's time. So we're going to take things day by day, and I hear rumors of LOTS of tuna. It may be a few days, it may be a few weeks. But Momma and Matilda and I are going to enjoy our time left together, and our time in Blogville. Don't count me out just yet!! Okay, I had resolved to live and let live with Momma. I DO love her, despite all the flashy beast flashing, so let bygones be bygones, right? But apparently SOMEONE did not learn her lesson!! Nooooo. We were out on a pawfectly good walk, and Momma suddenly said, "Matilda, pose by this tree, it's so pretty!" "Momma, I thought you learned better!" "No. I will NOT smile for the camera. This is humiliating." "This is supposed to be a WALK!" "No, I will not look at you." "Nope, that's it, I'm out." Do you think Mommas ever learn? Pigeon is not feeling well. She's going to the vet this afternoon, and we'd appreciate some PotP her way. She's having kidney issues, so Momma is worried. You had your chance. We had a good run. But I found someone who pets me WITHOUT pointing a flashy beast at me all the time. Maybe we can still be friends. 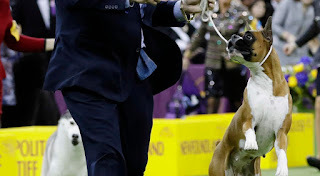 Congrrats to the wonderful Wilma, the BOXER who captured the working breed title at Westminster last night! 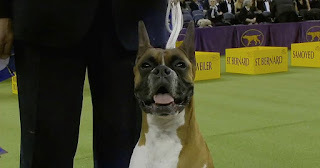 I'm so proud of my boxer cousin! An impawtant call to arms! LBR is facing a tough situation. The short story is that a dog that was held by a shelter for long past its mandatory waiting period, in LBR foster care for two months, and adopted in a happy home for seven months is now being claimed by people claiming to be the original owners. The original owners harassed the adopters and are now suing LBR. LBR is determined to fight, because this could invalidate every single shelter adoption -- which in turn would just discourage people from adopting through shelters and result in more euthanizations. 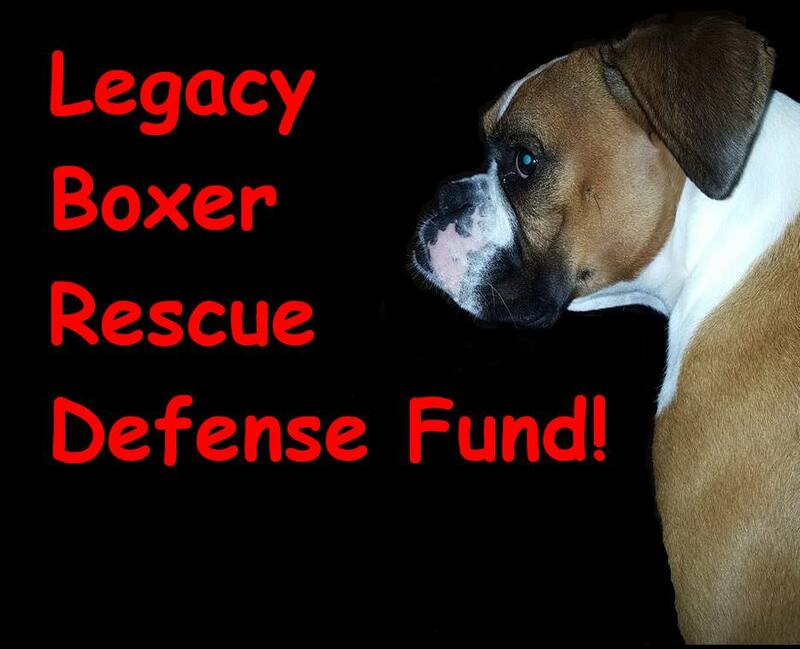 LBR has established a separate defense fund and is seeking help from supporters and fellow rescue organizations. Even if you can't donate, try to spread the word! We wanted to let everyone know about a heartbreaking situation we are facing for the first time in our 15 years as a rescue. Legacy Boxer Rescue has always and only worked with shelters and owner surrenders. We are not able to help found or stray dogs unless they go through a stray hold at the shelter closest to where they were found or the legal owner can sign an owner release form. We do this in order to comply with the laws and regulations in the cities we work in. We have now been told this is not enough. Last year, a shelter reached out to us for help with a boxer who had been in the shelters for 24 days after being picked up running down the road. The shelter advised that no one reached out to claim him, even though they held him much longer than is their practice on the chance that the owner would reclaim him. We evaluated him, as is our normal practice, and pulled him for a foster home. He was in foster care for 2 months (with no contact from the alleged owner again--now approaching three months since missing) and was adopted into a great family. He has been in his new home for 7 months and has bonded with their dog and that family. He is now part of that family. Mid January, we had someone reach out to us and tell us they thought a dog we had helped was their dog. We looked up the dog they thought was theirs and let them know that the dog they were claiming was theirs was helped by Legacy and had been adopted. The person claiming to be the owner wanted us to call the adopter and ask them to give the dog back. We told them that was not something we could do. They then set about researching the adoption through unknown means, and found out who adopted the dog. They sent the new family an email directly. Contact information from the adopters was not provided by Legacy, and the contact information used was not even information that Legacy had. They new family was emailed at their jobs! 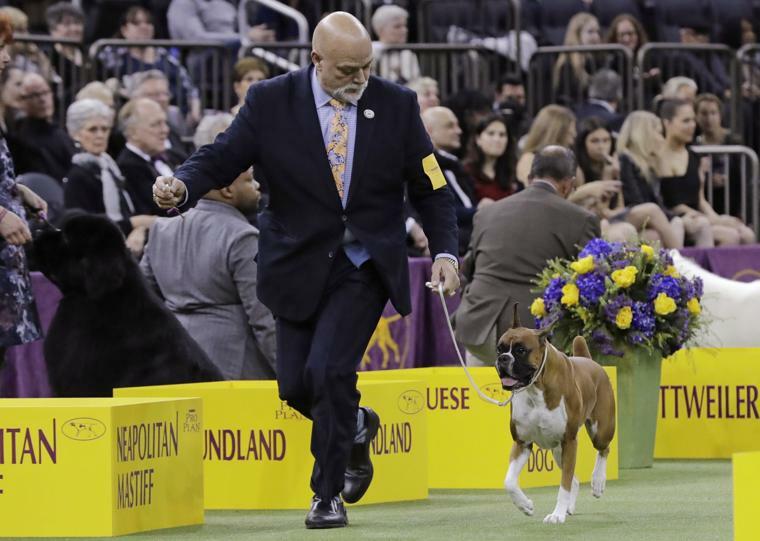 When the new owners did not reply, the person claiming to be the owner hired a lawyer and has filed suit against Legacy Boxer Rescue and the new owner to get the dog back. Unfortunately, the case law cited by their attorney is one where the Texas Supreme Court found that ownership of the dog had not transferred to a rescue and the ownership still belonged to the former family. That case did not involve a completed adoption. That dog was still in rescue and unavailable for adoption because of heartworms. This is a key distinction between that case and the one Legacy faces. 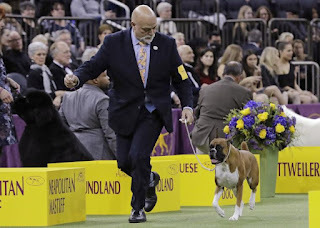 In the case of the LBR boxer, the city ordinances of the shelter where the LBR dog came from, states that after stray hold, a dog may be placed for adoption. He was placed and the adoption is complete. The situation LBR faces has far reaching ramifications that affect every rescue in Texas, every adopter, and everyone related to rescue. We believe the ownership of the dog was transferred upon adoption. The other lawyer disagrees. He does not believe the shelter or the rescue could ever transfer ownership of this dog. That cannot be right. It would call into question every adoption ever completed by a shelter or a rescue, other than actual owner surrenders. We hope that we can get some case law on the books that favors the rescue community and the thousands of animals that are helped every year. This defense will not be cheap, but Legacy plans to weather the storm. We are setting up a separate fund for the defense of this suit because this fight will be costly--tens of thousands of dollars likely. If any rescues have had a similar claim, please let us know. Please follow this case and help if you can. We solicit the attention of all rescues in the state of Texas, our legislatures and adopters. Please sound your voice and join us in this fight. 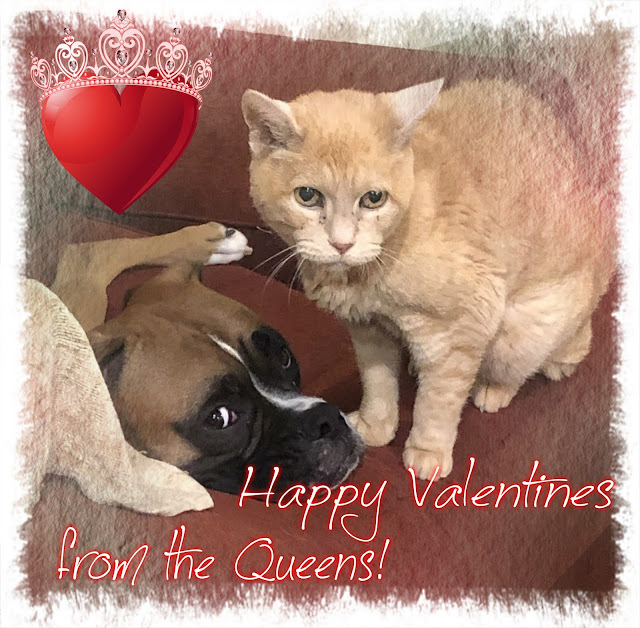 This is Tesh, and she has the BEST Valentine -- a cozy foster home to raise her pups in! Tesh was saved by the good folks at LBR just in time for her to deliver EIGHT puppies! She's very happy not to have to raise them on the streets, and to know that LBR will find some fangtastic furever homes for them when it's time. And then one for her too, where she can be someone's baby instead of a momma! I think I should go into modeling. Remember Momma got me a barkday present of a super-tough bed that's supposed to be indestructible? That she just got on Friday? Well, on Saturday, I showed her my opinion. Yesterday was my furst barkday, so that means I had my very furst barkday adventure! Do you know that we went to SONIC? And it has cheeseyburgers there!!! Momma said that she always took Angel Casey to Sonic for his barkday, and now I get it too. Then after that, I got to walk through PetSmart and pick out WHATEVER I WANTED!! It was SO hard to choose. I got a new crate bed that supposedly is really tough and I can't chew through. BOL, challenge accepted!! I also got TWO new toys and a cheese-filled hoof! It was the bestest shopping trip ever. OMD, this really snuck up on me, what with Christmas and Pigeon's purrday and Momma's trip. I didn't even have time to think about it, then when we woke up this morning, Momma hugged me and said, "Happy birthday, Matilda!!" I've been sitting here thinking how I feel now that I am a very grown-up dog and not just a little puppy anymore. I don't knows that I FEEL any different. I mean, I still licked Momma's face off this morning, and I still jumped through our morning walk, and I still curled up in the warm bed to watch Momma get dressed. Do I hafta start being serious and solemn now that I am an entire year old? I don't know if I can manage that! I guess when it comes down to it, age is just a number! I think I'll just be a puppy forever, because that's what I FEEL in my heart. Who cares what the calendar says? So in the meantime, let's pawty hard, because IT'S MY BIRTHDAY!!!!!!!! !